A nose job is one of the most popular plastic surgery procedures and is commonly performed by board-certified plastic surgeon Dr. Michael Suzman on a wide variety of candidates. A rhinoplasty can be performed for cosmetic purposes to treat oversized noses and unwanted nasal defects. Nose surgery can also be used to treat nasal passage issues that are obstructing the breathing or that have been damaged in an injury. After the patient's confidential consult at WESTMED Group in Westchester County, NY, or Greenwich, CT, Dr. Suzman will help to create an individualized treatment plan that allows the patient to customize their results as ideally as possible. A rhinoplasty is a very effective way to reconstruct and reshape the nose by altering its structure and surrounding tissue for both cosmetic and health purposes. Board-certified plastic surgeon Dr. Michael Suzman offers different surgical options for his patients according to their needs. 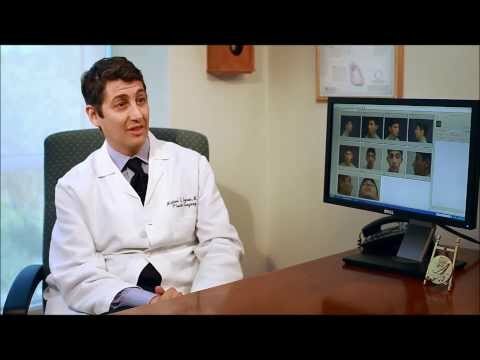 If patients don't require or want a full rhinoplasty procedure, then Dr. Suzman can perform a limited rhinoplasty. A limited rhinoplasty is offered for patients who only want to change a part of the nose such as only the tip or a bump on the upper nose. Dr. Suzman can focus on the area of concern without altering the entire nose, allowing the recovery time to be much less than a full rhinoplasty. "Dr. Suzman is by far one of the most amazing doctors I've ever had. He performed a rhino/septoplasty on me and he without a doubt changed my life. His work is impeccable, he is down to earth, caring, and eased my worries about surgery. 10/10 would recommend to anyone. I am constantly getting complimented on my nose and his work was so natural that it fit right onto my face and matched all the proportions of it! Exemplary doctor!!! Would come to him again!" "Dr Suzman is an excellent surgeon. I've had rhinoplasty with septoplasty and upper blepharoplasty performed by him. Both procedures had an excellent outcome with minimal discomfort and aesthetically, both were very pleasing and natural looking. I needed no pain medication afterwards in the days that followed in recovery. Without a single hesitation, I recommend Dr Suzman and his team 100%. He is so humble , precise, knowledgeable and excellent in the procedures that he performs. Thank you, Dr Suzman, JH." "30, Rhinoplasty for Bump on Nose - Amazing, amazing doctor. Has excellent bedside manner. Very reassuring and calm. Excellent staff as well." "I had a septoplasty/rhinoplasty done by Dr. Suzman and I cannot give him and his staff enough praise. Dr. Suzman is extremely experienced, caring, intelligent, and his bed side manner is impeccable. He'll make you feel at ease with his explanation/knowledge of the surgery. Not only is he an awesome doctor, but his staff are excellent as well, especially his PA Heather. I went in there not being able to breathe out of my nose due to numerous fractures due to injuries from hockey and now I'm breathing out of my nose fully for the first time in 15 years. To top it off, my nose is perfectly straight! No more bumps. I was in and out of my surgery in an hour and a half and I had no pain or bruising after the surgery. I couldn't breathe out of my nose prior to the surgery, so having the packing in there did not really impact me, but it was slightly annoying, but not to the degree to which people say. For the last 10 or so years I have went to numerous doctors and never went through with the surgery because I never felt one hundred percent confident or comfortable with them. The first time I went to Dr. Suzman, I made my appointment for the surgery right away. That speaks volumes about Dr. Suzman because I never trust someone 100%. I wish I had found Dr. Suzman 10 years ago, but I'm glad I finally got it done. If you are looking to get anything done I would highly recommend Dr. Suzman and his staff." Rhinoplasty is usually performed as an outpatient procedure with the patient under local or general anesthesia. Each patient's surgical experience will differ due to their individual needs and goals. There are a number of approaches and techniques that can be used during nose surgery, including open and closed rhinoplasty. When augmenting the nose, the surgeon can take cartilage or soft tissues from deep within the nose or the grafts may be harvested from other areas of the body such as the ear or scalp temporal fascia.